Guys, remember Fyre Festival? The chaos surrounding the Ja Rule co-sponsored, Kendall Jenner-promoted mess of a festival feels like a lifetime ago, but it turns out, it’s only been a year since ticket-holders flocked to the Bahamas to discover the festival was essentially one massive fraud — not the Coachella-like experience they were promised. 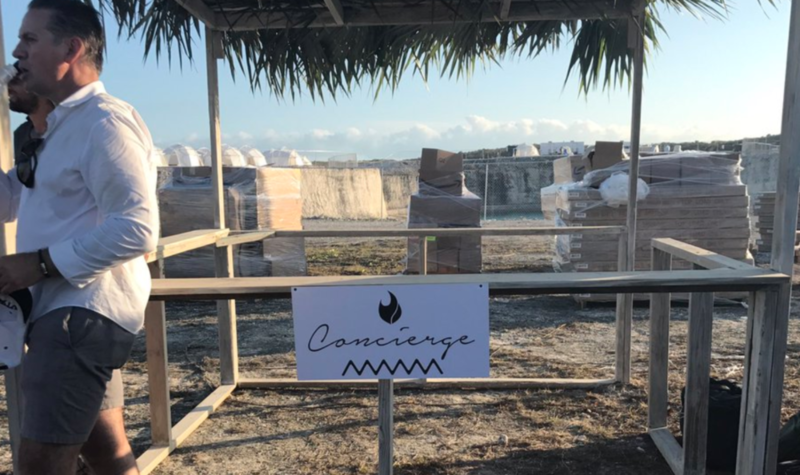 A year later, co-founder Billy McFarland has pleaded guilty to wire fraud and Fyre Fest has mostly been reduced to a punchline, but while most people know the gist of what happened at the messy festival, there are still a lot of questions to be answered. Luckily, next year we’ll finally get the low-down on that Bahamas nightmare as Hulu is set to release a docuseries about the ill-fated luxury concert experience. The docuseries, a joint effort between Billboard, Mic, and The Cinemart, is set to explore exactly how the festival went up in flames. According to The Hollywood Reporter, the multi-part documentary will feature interviews with everyone from vendors and stranded guests to local Bahamians, who got to watch the mess play out firsthand. The series will also feature recovered footage from the festival, as well as internal documents from those behind the festival. In the A-plus example of false advertisements, attendees showed up on the island last spring to an experience very different from the one Jenner and a slew of celebs — including the Hadid sisters and Emily Ratajkowski — had been advertising on Instagram. While his statement was full of optimism for the future, the events over the past year, which see him looking at up to ten years in prison and the over $100 million dollars in lawsuits he and Ja Rule are facing, say otherwise. Not gonna lie, we’re very curious about what we’ll see in this docuseries — and whether we’ll be seeing Ja Rule and McFarland featured in it! The docuseries is set to be released in 2019.